The Clay Arts Guild of North Idaho is a nonprofit communication network for clay artists and supporters, promoting clay art and education in the community. CAGNI was formed around 2002 to be a network for local professionals and hobbyists using clay as their primary medium. That has included hands on workshops in making utilitarian items such as bowls and also wall murals. Both conventional firing techniques and alternatives such as wood, raku and pit firing have been experiences that group members have shared. In the past, the group has held sales for members’ benefit as well as raising funds for the group. Outreach has included giving hundreds of children hands on clay experience with “real clay,” and helping people in assisted living with clay projects, as well as contributing to the local Art on the Edge program for disadvantaged youth in North Idaho. Meetings: They are held quarterly by the Executive Committee when we plan the workshops and events of the year. Meetings are open to members and prospective members if they wish. We usually meet before a quarterly gathering to keep it simple/easy to attend. Quarterly Gatherings: The most fun part of our mission is arranging educational workshops and presentations in various ceramic related areas. Past workshops/gatherings have included Liz Bishop from the Spokane Art School, Terry Gieber from Gonzaga University, Chris Berkstresser, and Tim Mosgrove. We’ve also had field trip type visits to Sondahl Pottery, Amy Vancho’s, and Lezlie Finet’s studio. Our gatherings are open to all, but priced to encourage your membership in the Guild (which allows you to attend for free). Fundraisers: While this is not our focus, we do have fundraisers to help support our activities. 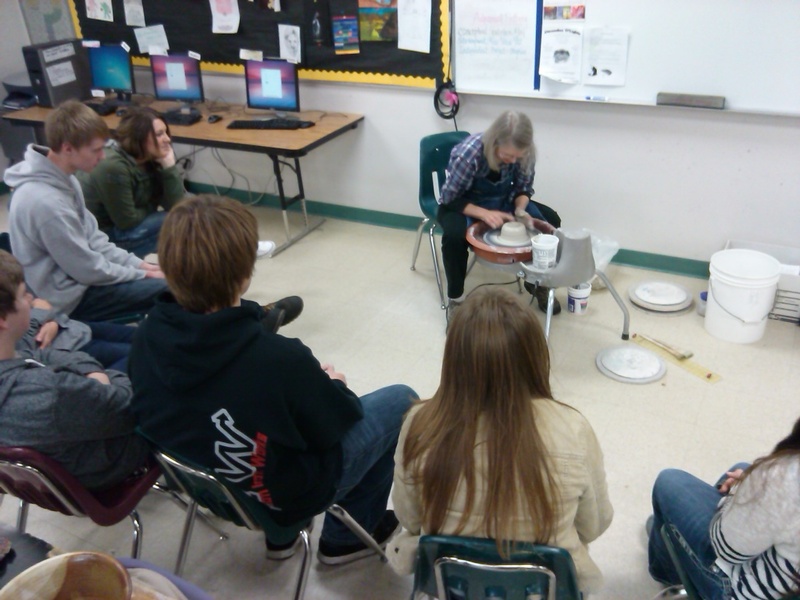 They include opportunities to learn new ideas, such as ceramic bank making. We also have a yearly sale at the Kootenai Farmers Market to sell donated pottery items.